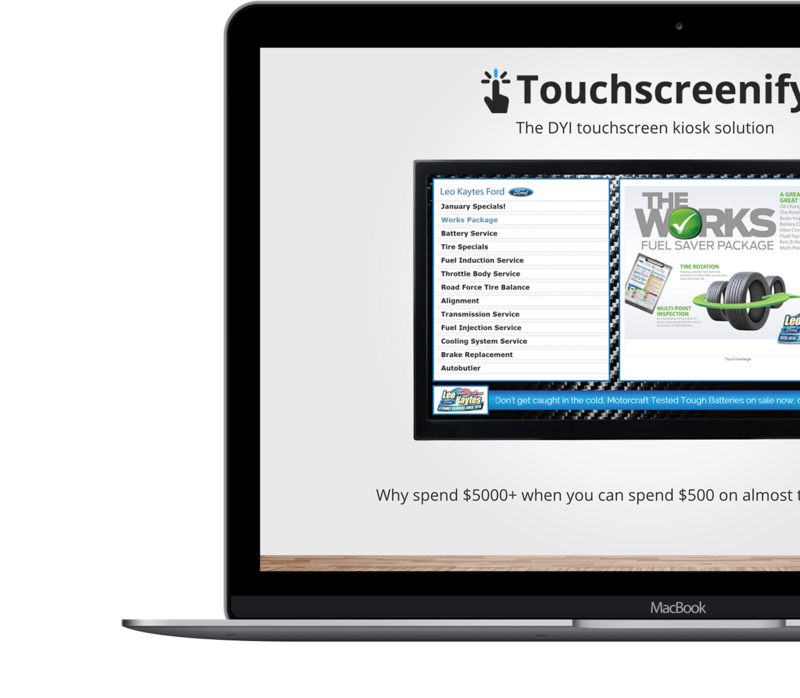 Touchscreen of five is an affordable and simple solution to an expensive and complex need. Have you ever seen a touch screen kiosk in the mall or even in the service department of your nearest dealership? Chances are the pain 3000+ per unit per year. When discovering this I knew there had to be a better way. With that in mind as I always do when identifying initial began finding the solution.